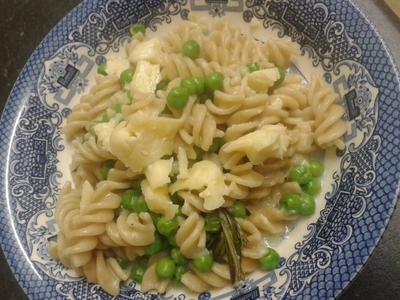 Ah...a bowl of cheesy pasta, how it calms a hungry child and quells the temper of a terrible teen. 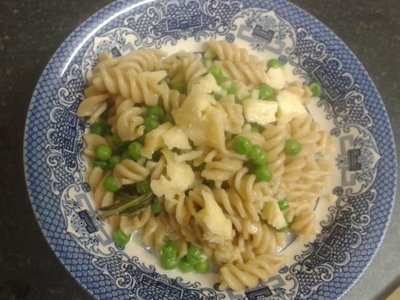 My bowl of cheese, peas and pasta is humble, but clever, little meal which can quickly become a family favourite. 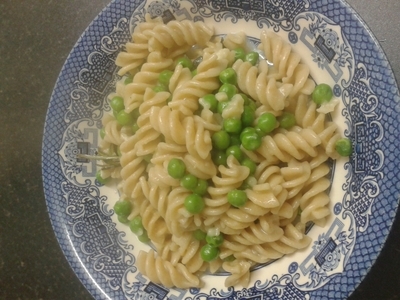 It's done in 15 minutes, and uses everyday store cupboard and fridge ingredients. 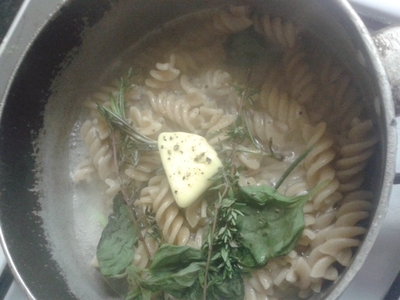 Place the pasta in a saucepan of boiling water and simmer for 10 minutes. 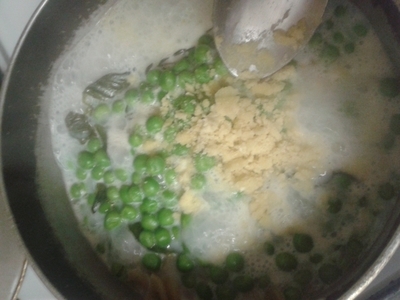 Add the herbs, butter and pepper and allow to simmer for 2 minutes. 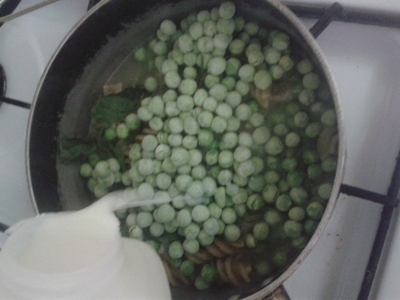 Add the peas, pour in the milk and cover with a lid, over a simmering heat for 3 minutes. 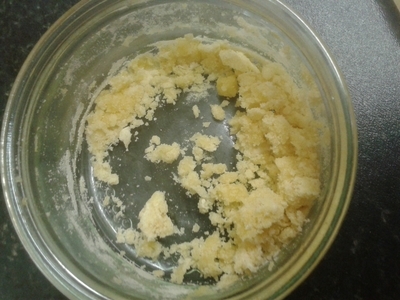 Make a roue with equal parts flour and butter. Add the roue to the saucepan, stir, and cover for 2 minutes over a medium heat - this will create a thick sauce. 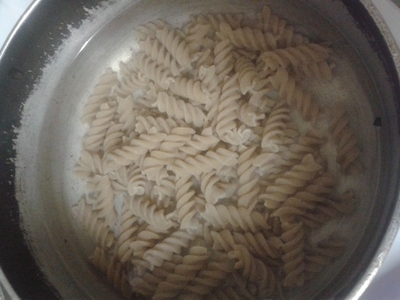 Transfer the pasta to a bowl. 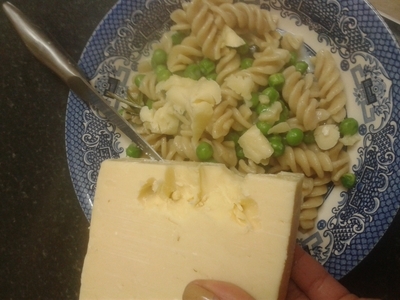 Add the cheese in gnarly chunks.